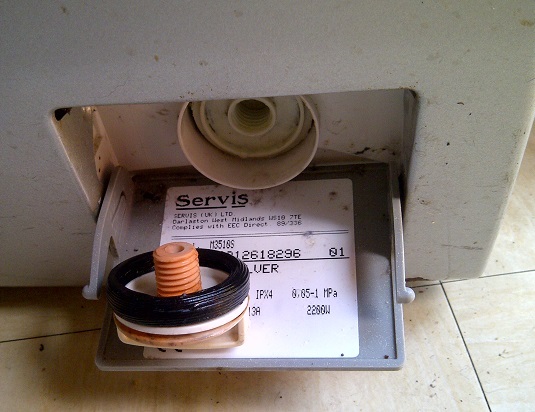 Washing machines contain a filter between the drum and the pump. This is to prevent any loose items left in the washing such as coins from damaging the pump. 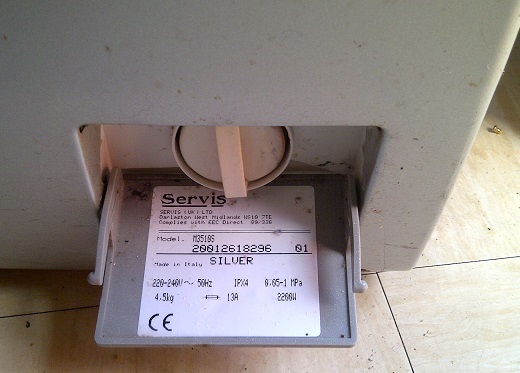 If the filter becomes blocked this can result is poor water drainage and sometimes leaks. Most filters are now located at the front of the machine to allow easy access to them to check and clean, normally then will have a flap as shown below. Once the filter has been unscrewed, the filter can be pulled out. 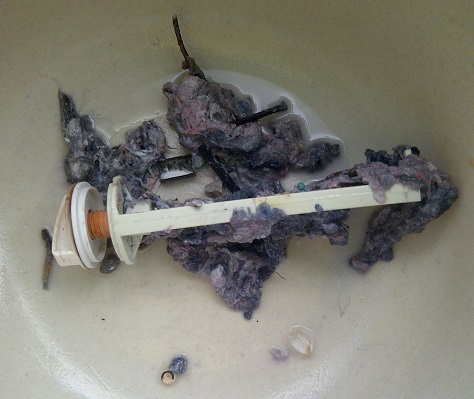 Image below shows the sort of thing that can be caught in the filter, quite often loose fibres will collect and form a sludge. Replacement is the reverse of removal. 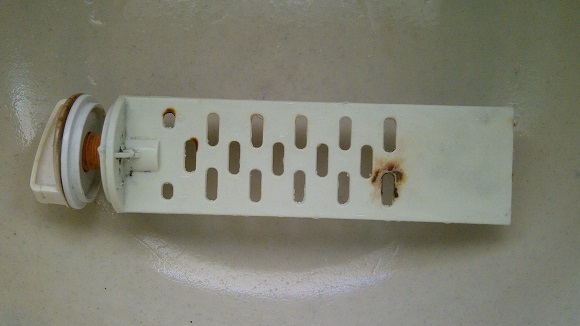 Place the filter back into the washing machine then screw it back up. Tightening with the hand is all that is required. During or after the first wash you should open the flap and check that there are no signs of leaking from around the filter.